The timepiece under discussion was branded in honor of William Gregor, an English Vicar with an interest in chemistry. William Gregor was born in Cornwall in 1761 and finished his education at St. John’s College. After being ordained in the Church of England, he became vicar of Diptford’s St. Mary’s church. He married Charlotte Anne Gwatkin in 1790. After moving his family to the rectory of Creed in Cornwall, William began a chemical analysis of Cornish minerals. In 1791, Mr. Gregor isolated an unknown metal which he called menaccanite. Later that year, Martin Heinrich Klaproth rediscovered the mineral, naming it titanium. Although William Gregor was credited for the discovery, Mr. Klaproth’s name stuck. The Vicar continued his pastoral duties and scientific work for many years. A multitalented man, William Gregor was also a landscape painter, musician, and etcher. He died of tuberculosis in June of 1817. My new William Gregor automatic arrived enclosed within a large watch box composed of a flexible plastic-like material. When opening or closing, the box emits a satisfyingly loud click. The watch is strapped around a black cushion and, alongside; a spare leather band is tucked into a cardboard insert. 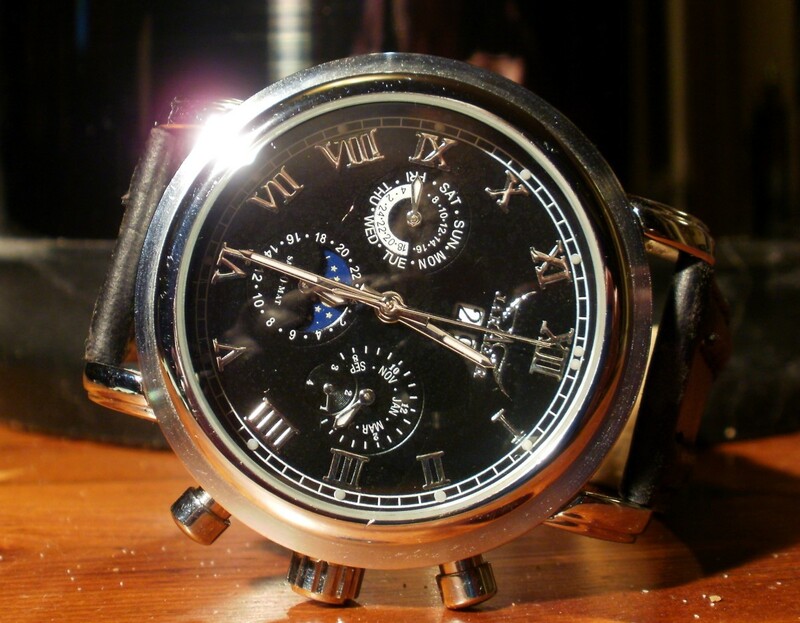 Long after its date of manufacture, the watch case continues to emit a strong chemical odor. Those, like me, with a warped sense of humor, will enjoy the expression on their friend’s faces after they are invited to open the box to examine the timepiece. The watch’s case is composed of shiny stainless-steel. Its face is black with silver studs indicating the hour positions. A small window on the right side displays the date. All three hands are colored silver with luminous paint coating the minute and hour indicators. A mineral glass crystal hovers above the dial. 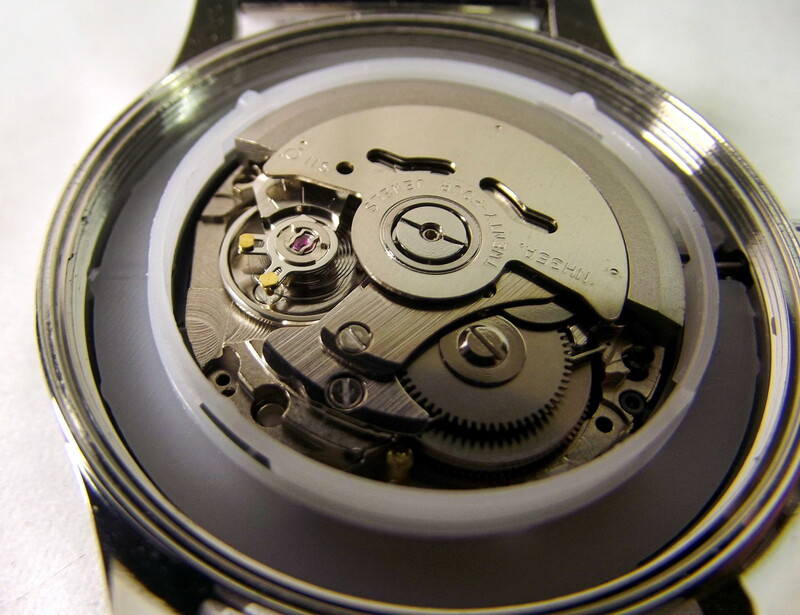 Beneath the stainless-steel caseback, sits a Seiko NH35A automatic movement. 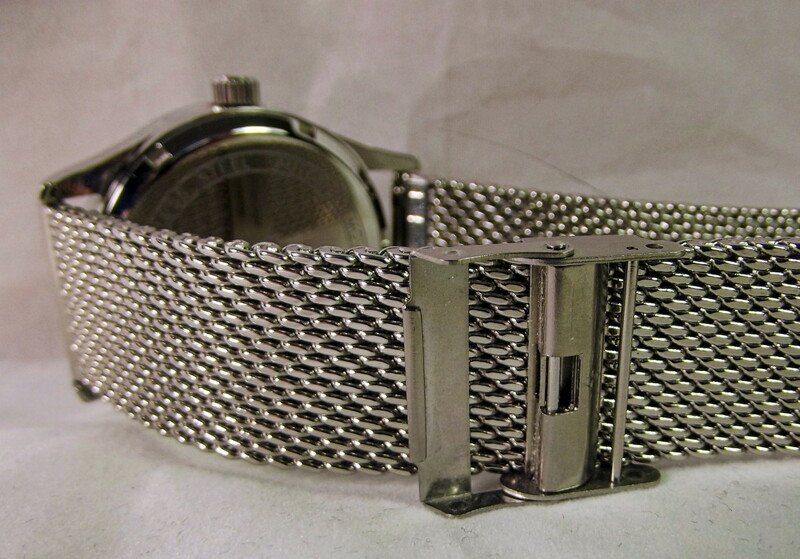 The attached steel mesh band is equipped with a folding clasp. A leather strap is also included. 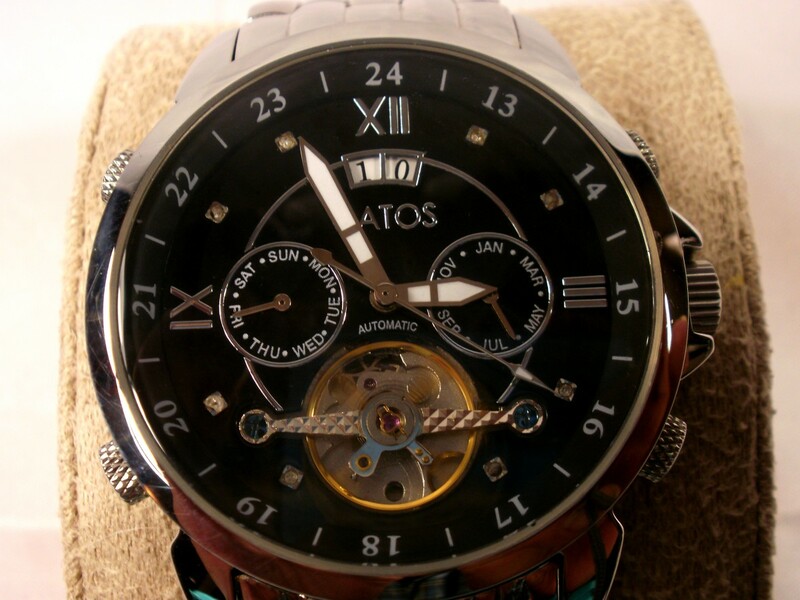 This automatic is water resistant to one hundred meters. William Gregor is trademarked by KIN AB of Upplands Vasby, Sweden. KIN AB is a private company that was formed in 1991. Their stable of brands includes William Gregor, Moretime, and UR&PENN. Information concerning KIN AB is sparse. 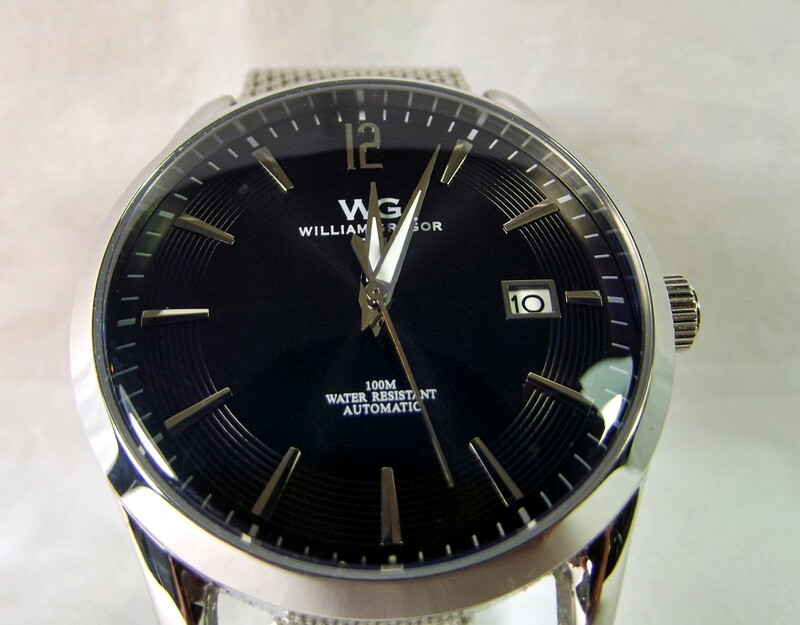 My expectation is that William Gregor watches are designed in Sweden and assembled somewhere in the Chinese province of Guangdong. Be aware; however, that this assessment is based on conjecture and could be incorrect. 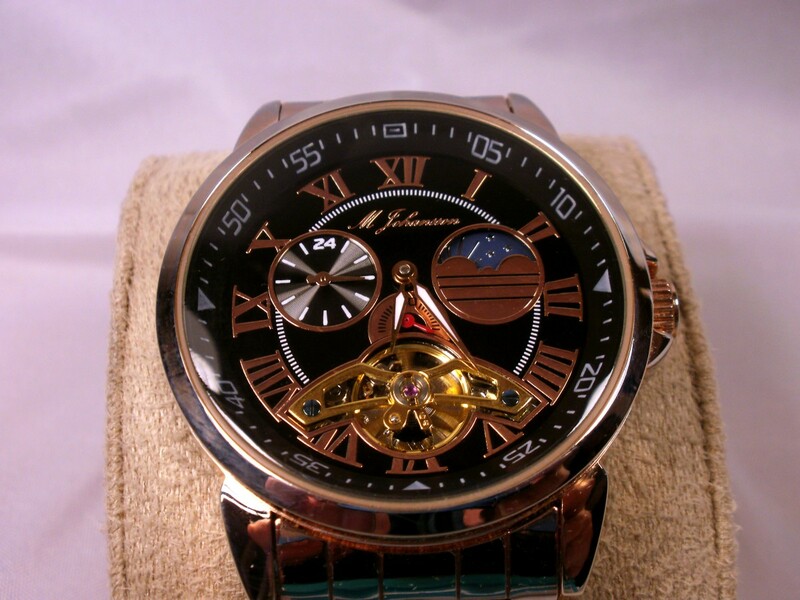 This William Gregor timepiece features a design that is both traditional and simplistic. Silver studs, positioned atop a black dial, are used as hour markers. At the three o’clock position a larger than normal window displays the date. 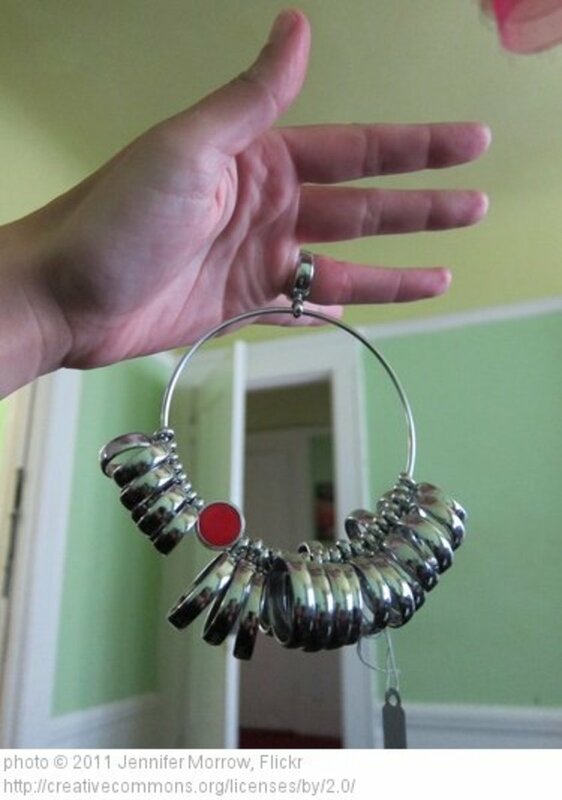 Silver hands sweep around the dial. 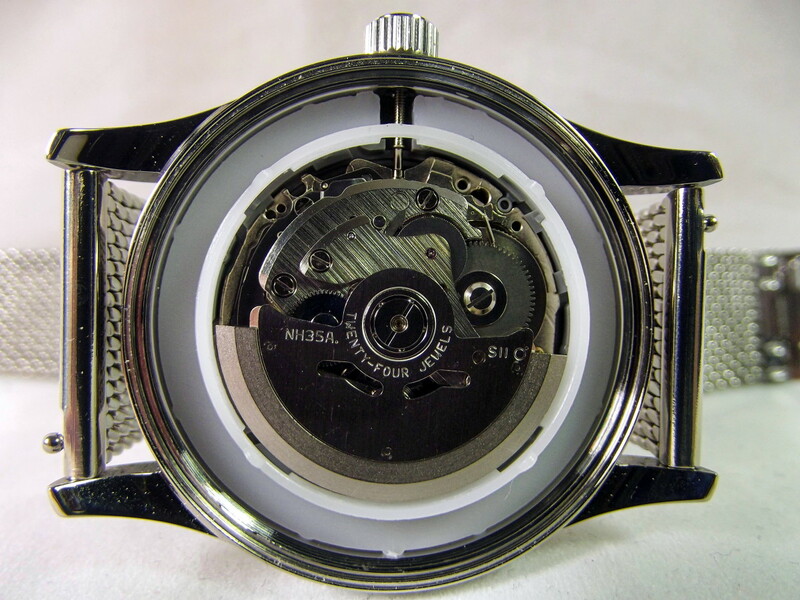 The case and caseback are composed of shiny stainless-steel. 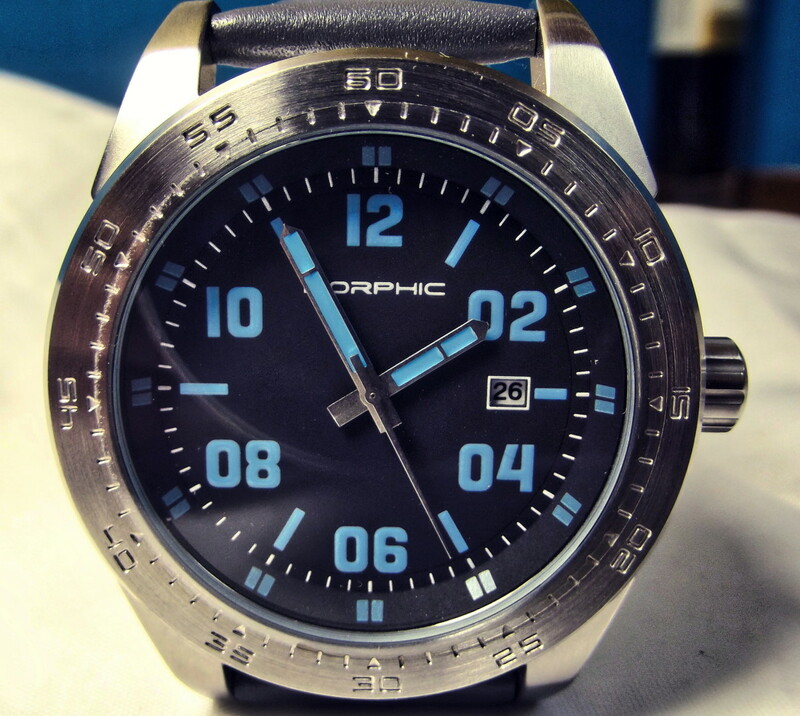 Like a Corgeut that I have recently tested, shifting the watch in light will often cause the dial to appear blue. This effect, I assume, is produced by a filter or protective coating applied to the watch’s crystal. 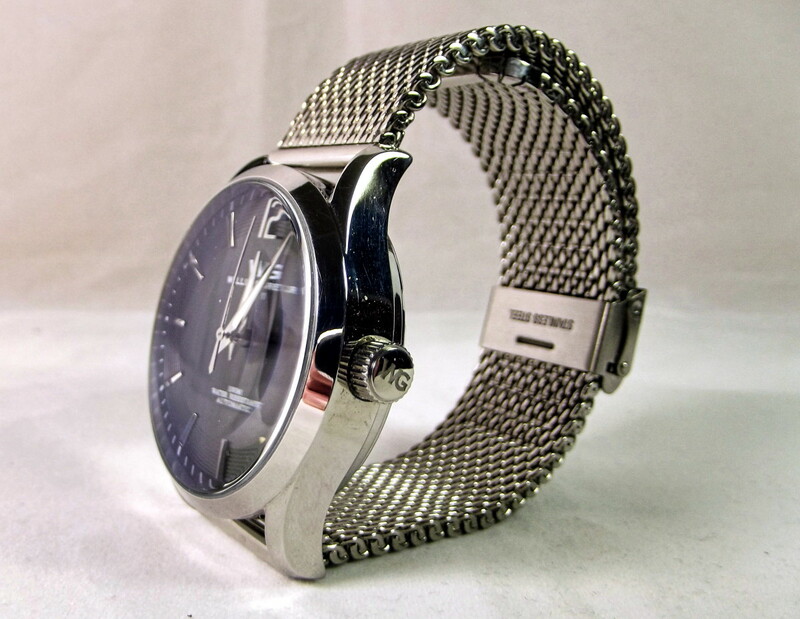 A steel mesh strap came attached to this timepiece. This band is easily adjusted and quite comfortable. 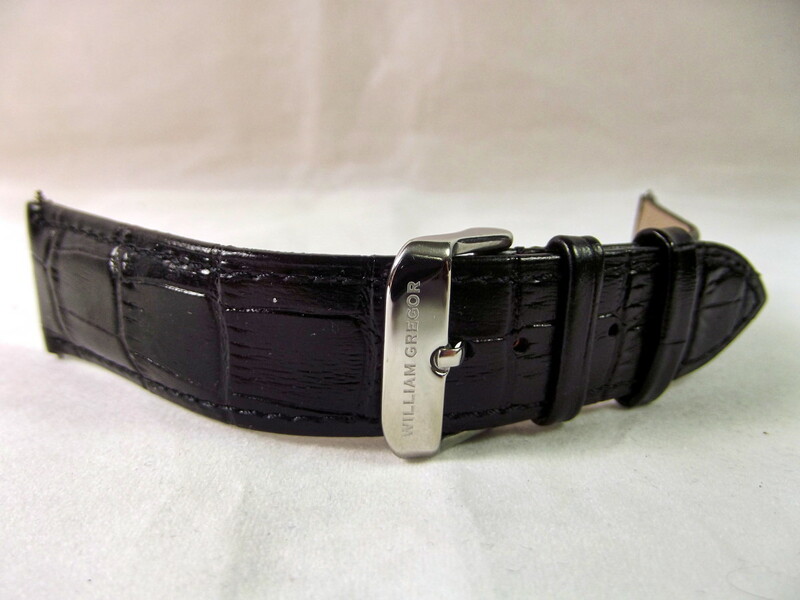 A crocodile patterned leather strap of medium quality is also provided. During a one-week test period, the William Gregor automatic gained an average of sixteen seconds per day. Throughout this period, the date indicator reported accurately. After being removed from my wrist, the watch continued to keep time for an additional thirty-five hours. 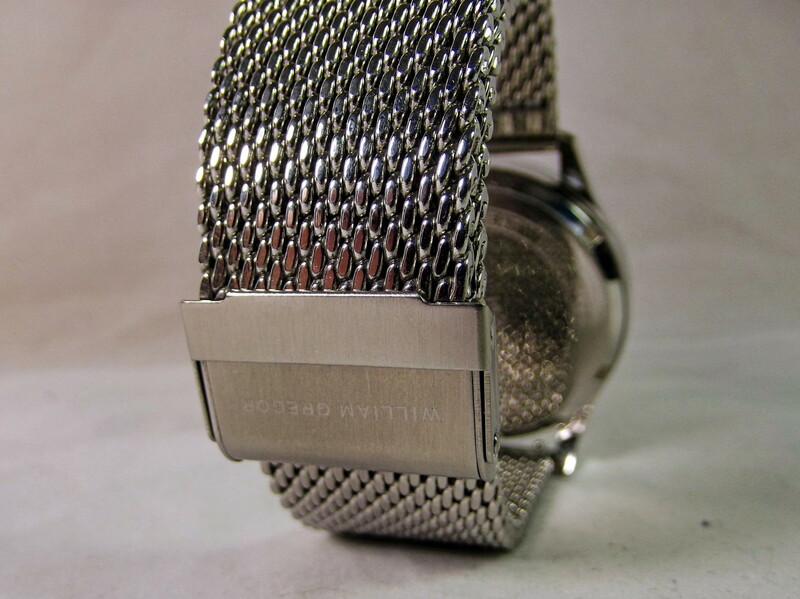 The stainless-steel case and scratch resistant crystal combine to provide excellent protection. 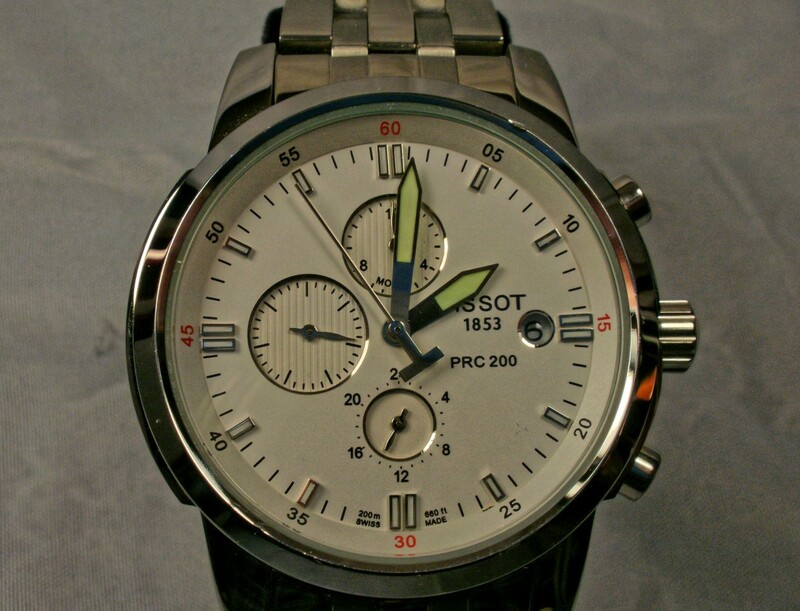 This watch utilizes a Seiko 24 jewel NH35A automatic movement. Time can be easily set because the second-hand ceases rotation when the crown is fully extended. Seiko holds a well-earned reputation for quality control. 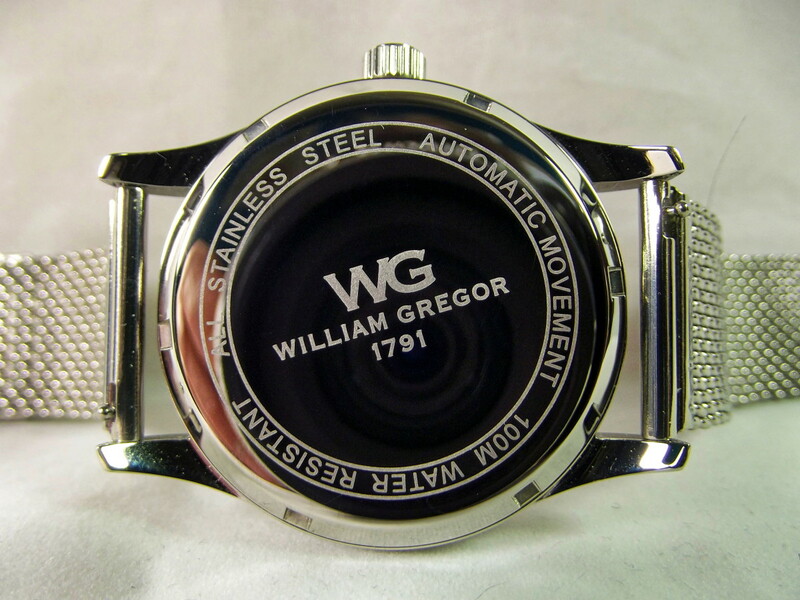 While not appropriate for scuba diving, the William Gregor’s water resistance of 100 meters ensures it can be worn when swimming or snorkeling. 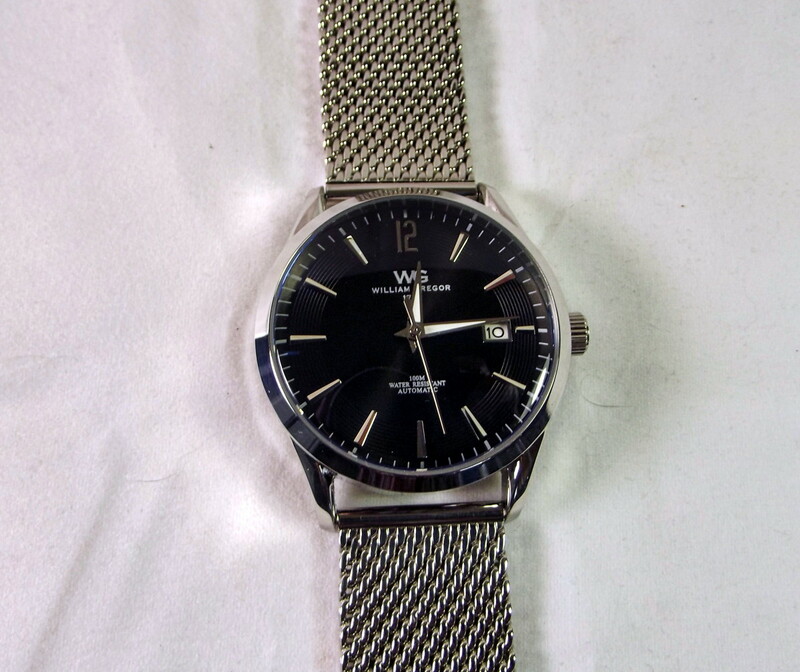 I fully expect this timepiece’s steel mesh strap will provide yeoman service, for as long as I own this watch. The William Gregor BWG30090-203 automatic is a well built, conservatively styled timepiece, which should function effectively for many years. I possess dozens of watches and, sadly, many of them spend their lifespan gathering dust. I, however, really like this automatic and plan to wear it often. 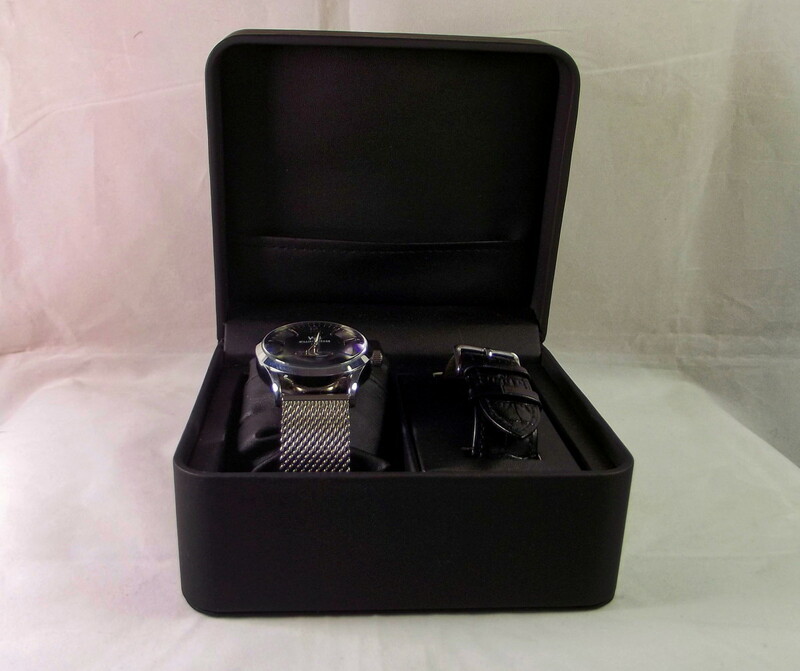 Pricier timepieces come encased within fancy watch boxes and equipped with useful accessories. In the poll below, I am attempting to determine which of these extras are more likely to encourage a potential customer to pull out his wallet. 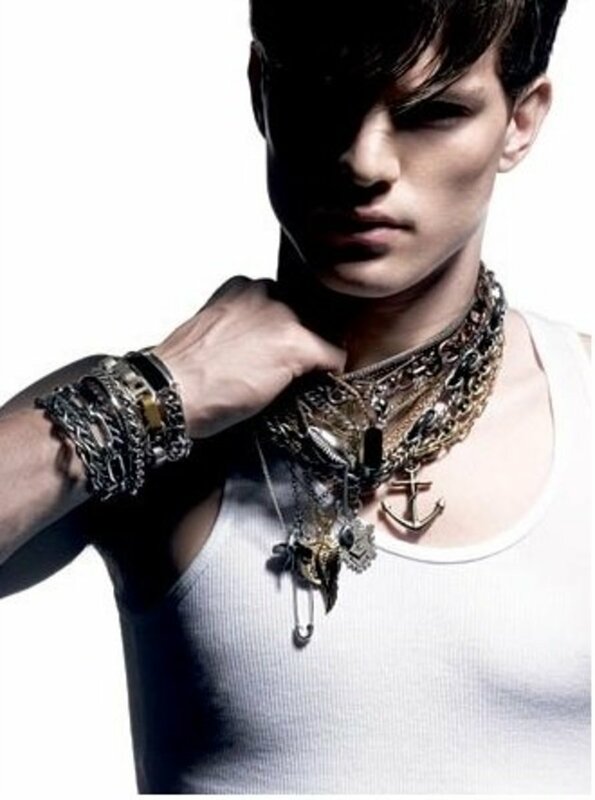 Which of the following accessories is more likely to convince you to purchase a watch?